Tracking down an elusive debtor doesn’t need to be tricky. Tracking and tracing technology such as Traceps has made it a lot easier. The Online Debtor Trace Tool is an in-house verification and debtor tracing tool, which works by recognising links between debtors as well as the people around them. 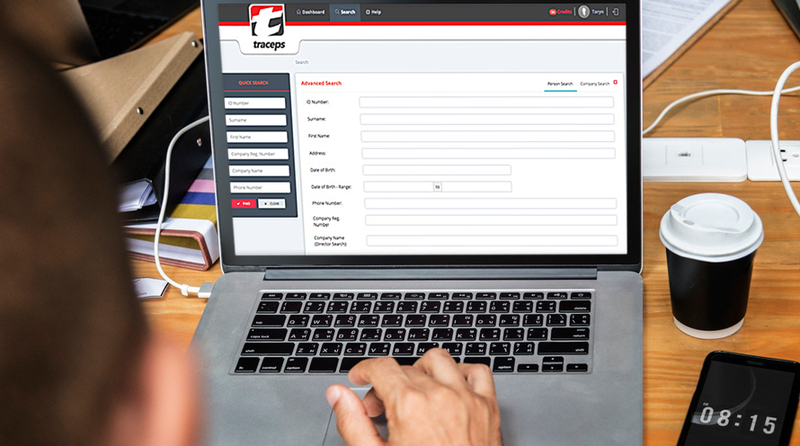 Traceps will supply you with the contact details of the debtors that you need to track, as well as public information that should prove useful. Get real-time access to a vast spectrum of debtor data without the need to install any software on your device. Perfect for any industry, this powerful online debtor tracing tool gives you the ability to improve your workforce hiring protocol which verifies individuals as well as traces debtor history. Accessible via an easy, user-friendly dashboard which returns rapid search results, with an average query return rate of 0.5 seconds. Search individual and company records as well as find people by ID, name, phone number, address or date of birth. Accessible anytime, anywhere, on any device, you will receive instant, accurate and detailed results to ensure that your workforce hiring decisions are in the best interest of your company. Perfect for any industry, from Legal and Accountancy to Real Estate, this tool is for you. The Online Debtor Trace uses advanced search engine technology to assist in more effective tracing from your input criteria. In order to receive the most accurate results, features include extended search details such as search combinations, wildcard searches as well as sounds like searches and more. Traceps debtor tool uses an algorithm to generate accurate contact scores. Contacts are scored or rated, Platinum for high and Dirt for low to give you an overview of how contactable the search subject is. Obtain a complete overview of the search subjects’ basic identification details and advanced information. Advanced information, such as marital status and spouse, to employment details, property ownership data, directorships relationship links, from past to current records. Traceps’ Online Debtor Trace Dashboard page allows you to have on-demand graphs and reports that can be easily viewed and analyse your usage as well as past search history. Traceps’ Online Debtor Trace is the fastest, easiest and most accurate way to trace debtors and verify individuals for the best interest of your company, at your fingertips.